Understand Blue: It's Your Birthday! Well it's not actually YOUR birthday (unless it is) - but it's my friend Suzanne's birthday. 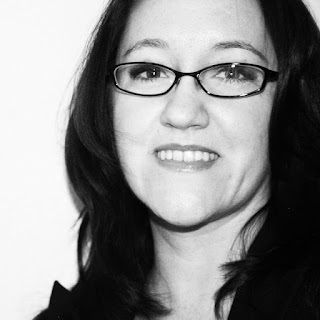 She is the owner of So Suzy Stamps, and is one of the funniest people I know. I met her at CHA last year, and her infectious laugh just made me happy. 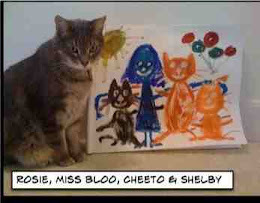 Her husband and I, although we've never met - are bonded for life through our shared love of all things cat. We enjoy torturing Suzy with cat pictures, cat memes, threats of the bushels of kittens he's going to bring home, planning trips where we all go to cat shows and cat cafes. It's really a great source of joy in my life, much to her chagrin. But since it's her birthday, with the exception of this critical backstory information, this will be a cat-free post. But it ends today, Suzy. It ends today!! 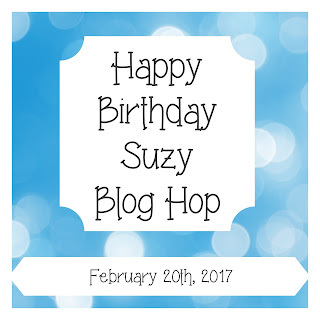 This blog hop is actually a SURPRISE blog hop for her birthday - so she will get to wake up today and have fun seeing what a bunch of people have done for her today, including her cats. Wait - no - I said I wouldn't talk about cats anymore. Sorry Suzy - old habits!! Suzy got me addicted to mirror image stamping. This is an old technique - but I'll be honest - before the MISTI and mirror image stamps it was real drudge work. The image quality was poor, the process was too involved - major buzzkill. I don't like techniques that cause me mental anguish. So when I got to pair Suzy's Mirror image rubber with the MISTI I was in heaven, and became a bit obsessed with the technique. Search "mirror" on my blog to see the depths of my depravity in this regard. I HAD to get out my new Distress Oxides first though. I saw these at Creativation and could not wait to get them ordered. The techniques were amazing, and any opportunity to expand my ink collection is always welcome. While I was making the video for this card, I realized something that will change life on this planet. I have been lovingly petting the surface of this card since I made it. It's sooooo incredibly soft. I was mindlessly rubbing my card like some kind of weirdo when I realized the only other thing I do that with is the buttery soft LulaRoe leggings. I had always wondered how they could be incorporated into my cards, and now I know - they've been turned into an ink, and its name is Oxide. I'm sure Tim would have to check himself into an institution if he saw that parallel, so please don't tell him. Thank you. Let's try to look out for each other. However, if you are patting your Oxide cards and purring - just know - you heard it here first. Shoot - purring. Sorry Suzy - no more cat talk. Pinky swear. So after I created the background (video below comparing these to Distress Inks), I used the mirror image rubber and the Super Duper stamp set to finish the card off. I'm going to need the rest of the Distress colors to come out in this ink format STAT. I also need to stop petting my card. Please take a look while I go put my card in the other room. So fun! I wish you had pat-o-vision. Actually - I really wish that was a thing. I know Mr. Suzy and I would use it on all the (redacted) videos on Facebook. Anyway - without pat-o-vision, you'll just have to imagine the texture as you watch my video on this process and a comparison with Distress ink. Note above that the case for the Oxides is actually a grey, so you won't mix them up with your Distress inks, if you were worried about that. I hope that helped you see the difference, and how much fun those are. Not as fun as Suzy, but fun! To celebrate Suzy, if you comment on all the blogs in our hop today, you might win one of the prizes listed below - so head to Justine's blog next to get started! So without further cats ado - here is the full list of bloggers today - the next stop after me is Justine, and then you can just hop on down the list for your chance to win an original MISTI from My Sweet Petunia, a Den Bunkie bag, and a $20 So Suzy shopping spree from Justine! Gorgeous card. Those inks are amazing. I've seen Tim's video demo & Jennifer McGuire's video, & now yours, but seeing them in real life at the Stamp, Scrap, Art Show this weekend when Ted's Cutts was demoing them was another level of amazing. I keep telling myself I don't need them, but y'all are making it hard to justify that statement! Happy Birthday to Suzanne! Love this card. Can't wait to get those new inks. So pretty! I can't wait to try the oxide inks! I love creating backgrounds with distress inks and the oxides look like even more fun! I can't wait to try out distress oxide!! Thank you for sharing your video! I am very jealous! lol I can't wait to play with distress oxide too!! Very nice techniques! Have to trie them myself! Love this technique, will have to get a mirror image stamp so I can try it. Beautiful card! I think you are bound and determined to get me to make a card with the mirror-image technique. I'll have to put on some special brave-girl knickers right after I order the rubber for the technique from Suzy. <3 your project. Thank you for the video - have never tried making a mirror image card but now I really want to try it ! Love both of your cards but I think I like the distress ink card better ! Would love to feel the softness of the oxide card ! I ordered the oxide inks based on Jennifer McGuire's video and am so excited about these inks! You can say CAT to me any day of the week! Meow! Beautiful background and love the mirror image. I love the background you've created! It's gorgeous. So many great ideas on this card. I'm loving those oxide inks!! Wow, you are my mirror image queen! Lydia this is gorgeous. Love it! Fabulous card , really love the mirror image technique !!! Love that inky background! Great look for your pretty card! Happy Birthday to Suzy! I am really loving the look of the Distress Oxides and your card looks fabulous!!! Your card is so stunning! 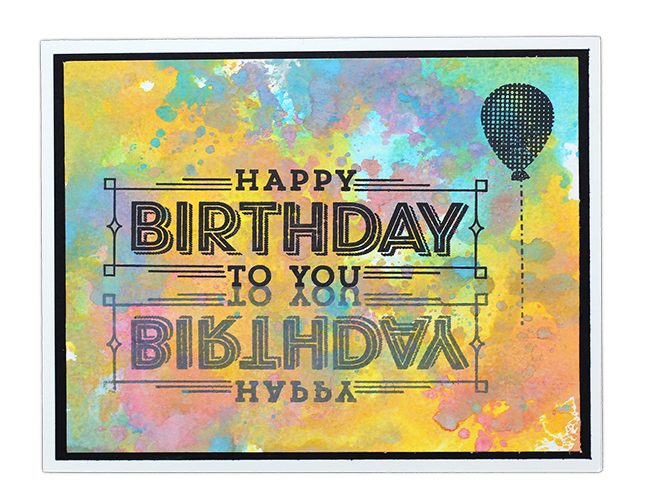 I love the colors you used and they way you mirrored happy Birthday. Oh my...more 'must have' items added to my list after seeing your card, reading your 'review' and watching your video! You've designed a perfect card for Susy and a wonderful tribute to just how much fun she is! How sweet all of you are to celebrate her birthday with this marvelous hop; I'm sure she'll be blown away by these expressions of love! love when you do comparison videos. good on the lularoe reference. Gorgeous card. It looks wonderfully pet-able. The colors are so beautiful. Super use of the mirror imaging. Wow!!! Your card is simply stunning!!! The mirror image stamp was just in time for you to make your card for Suzy and be able to share with us. HAPPY BIRTHDAY to Suzy! This was a fun surprise hop and I enjoyed it very much! Love your card! Using the mirror image stamp for the greeting is very clever! Love these inks they are so pretty and I love your gorgeous background. So pretty and thanks for sharing your technique. Happy birthday Suzy! Happy Birthday Suzy! very pretty. I'm not seeing my previous post, so I'll post again. LOVE the oxide inks!! Can't wait to get my hands on them! I've seen some beautiful cards in this blog hop, and I know Suzanne will LOVE them all! Y'all are awesome! Very pretty card! I am excited about the oxide inks. Didn't understand them when I watched the CHA videos. Thank you for your video. So excited about them now! What a great idea for mirror image. Love the colors. Happy Birthday, Suzy. Very pretty background I love how you showed us a side by side comparison of the inks. Thanks and I hope Suzy has a very Happy Birthday . Oh my goodness - I don't need patovision - I'll just rub my leggings! I know exactly how your card feels! Thanks for sharing!! Amazing card. Happy Burthday Suzy! Great card! Love those oxides- can't wait to get them! I like the reverse image words. Creative idea!! Great card and appreciate the comparison of the inks. Suzy, hope you have a happy and cat free birthday! Lularoe of inks!!! That just made me laugh out loud. what a gorgeous card happy birthday Suzy! Incredible card - use of the mirror image and distress oxides are really original! I loved your commentary as much as your wonderful mirror image card. I can totally relate to techniques that make your brain hurt. Thankfully Suzy fixed this with the wonderful mirror stamping tool. I LOVE new birthday card ideas. And you're very funny. I love this design and the tutorial. Just lovely. Suzy will LOVE it! Happy Birthday Suzy! Funny post and I like the mirror stamped sentiment. Happy Birthday to Suzy! I watched Tim demo video of these inks and I wan't interested in having them (he was working on chipboard and other media), I thought, Great! Money I will save. Hah! Then I saw Jennifer's card video and fell in love with them! I have ordered the full set and all re-inkers, sheesh!!! 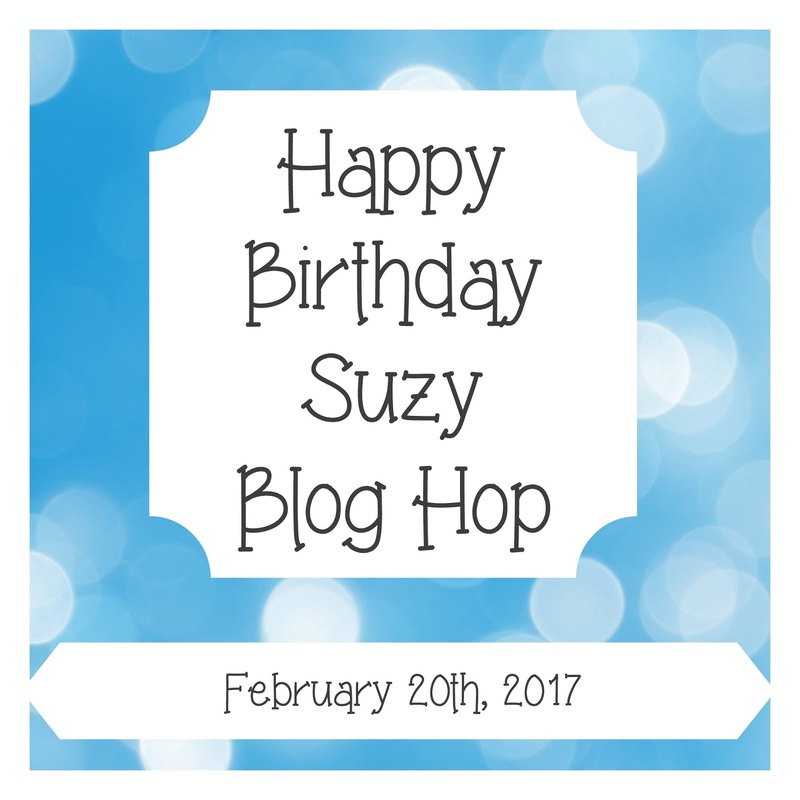 Love your card, and Happy Birthday Suzy! Omg! This is super! I can't wait to get my hands on these inks! And what you did with them to create this beautiful card for Suzy's birthday is amazing!!!!!!!! I never would have thought to do mirror image stamping with a word stamp. Thanks for sharing. Great card. Thanks for the ink comparison. Gotta try mirror stamping soon. Oh my gosh you are so funny and make me want both the oxide inks and LuLaRoe leggings! I love your mirror image card it turned out fabulous. Love the technique that you used. Just learning about Distress Oxides. Thank you for sharing! Thanks so much for sharing the tutorial...loved it, very informative. Your card is adorable. Awe. Love the card! Happy bday! Great card. Thanks for the video on the Distressed Oxide Inks. Think I'm going to have to get some of these to play with. Love this card. Great work. I can't wait to get my hands on these new oxide inks - they are at the very top of my wish list! Thanks so much for sharing your video and I love how your card came out! Happy Birthday Suzy! Stamp Junkies sent me. Love your blog. Love this with all the new oxides. Very cool. This card is great!!!! I need this mirror image rubber in my life!